The September Sumo in Tokyo is in full swing. Whether you are planning to visit or just catch a glimpse on TV, here are 25 fast facts to help you understand what you are seeing! But first, some basic terminology. Wrestlers are known as rikishi, the circle the match takes place in is the dohyo and the 15 day competition itself is known as the basho. 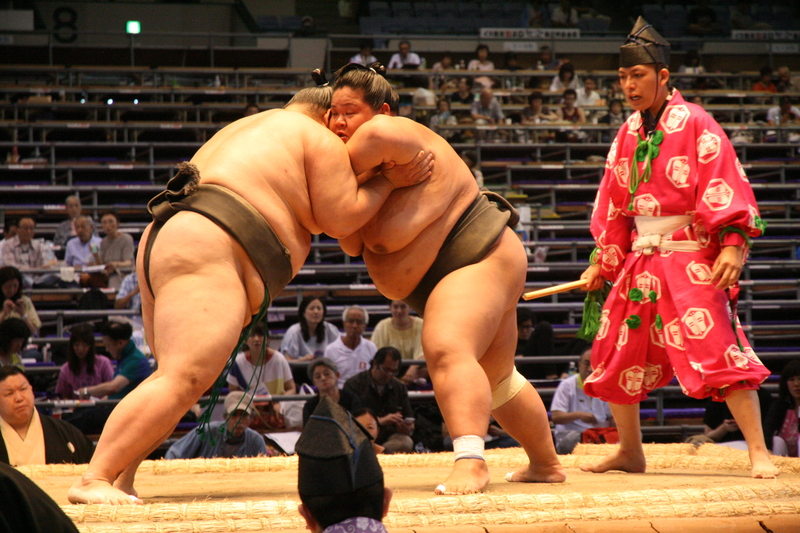 the origins of sumo date back over 1500 years and are steeped in Shinto tradition. However the rules and rituals around sumo in its current form were mostly developed in the 20th century. The loincloth worn by the rikishi are around 10 yards (9 metres) long and 2 feet (60cm) wide. After being folded into 6, the heavy silk is wrapped around the wrestler’s waist between 4 - 7 times. The sumo’s hair is oiled and combed into the shape of a ginkgo leaf. Apparently this hairstyle also provides some cushioning for their heads in the case of a fall. The dohyo is 18 x 18 feet and two feet high. The ring itself has a diameter of 15 feet. The roof suspended over the dohyo represents a shrine roof and the large tassles on each corner represent the seasons of the year. During the basho, sumo are grouped as east or west which refers to which side of the ring they enter and begin the match from. This has no correspondence to the stables they come from, nor is there any ‘team’ benefit if more east rikishi win their bouts than west or vice versa. Eye gouging, hair pulling, choking, hitting with closed fists and kicking the chest or abdomen are all off limits, as is taking hold of the part of the mawashi that covers the groin area. 9. What is a win? The rikishi who touches the ground in the circle, with any part of his body other than his feet, inlcuding his hair, loses the bout. Alternately, the rikishi who puts any part of his foot or body on the ground outside the circle loses the match. There are 70 winning strategies, many of which make use of an opponents mawashi however the two most common strategies are the yori-kiri and the oshi-dashi. The yori-kiri is executed when a rikishi is facing his opponent and pushes him out of the ring while holding his opponents mawashi. When a rikishi pushes his opponent out of the ring with one or both hands on the opponents body, this is termed oshi-dashi. Rikishi are ranked in 6 main divisions, but there are also rankings within these divisions. Here’s the breakdown from highest ranked to lowest. Makuuchui is the top division, within this the rankings are Yokozuna, ozeki, sekiwake, komusubi, maegashira. The next division is the Juryo. Under the juryo come the Makushita. 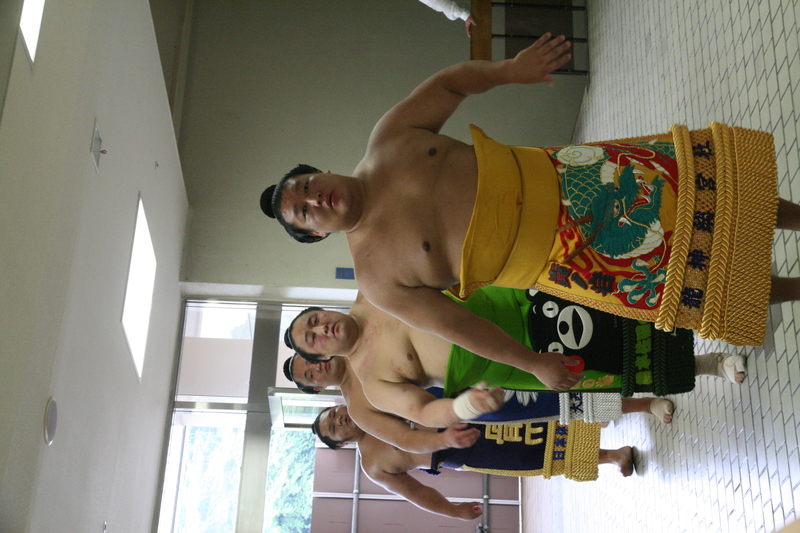 Wrestlers in the Makushita and below are considered to be still training. Then come the Sandanme, Jonidan and Jonokuchi who are the lowest ranked and have only just begun in the sport. The Yokozuna is the highest ranking in sumo. It is conferred on rikishi who are not only highly successful in the ring, they must have one their previous two tournaments to be considered, but also who make exceptional representatives for the sport. Unlike other rankings, Yokozuna are not demoted as a result of poor form, however, in the case of continued poor form they are expected to retire. There are currently 4 yokozuna and have only been 72 in the 300 years since the ranking was introduced. 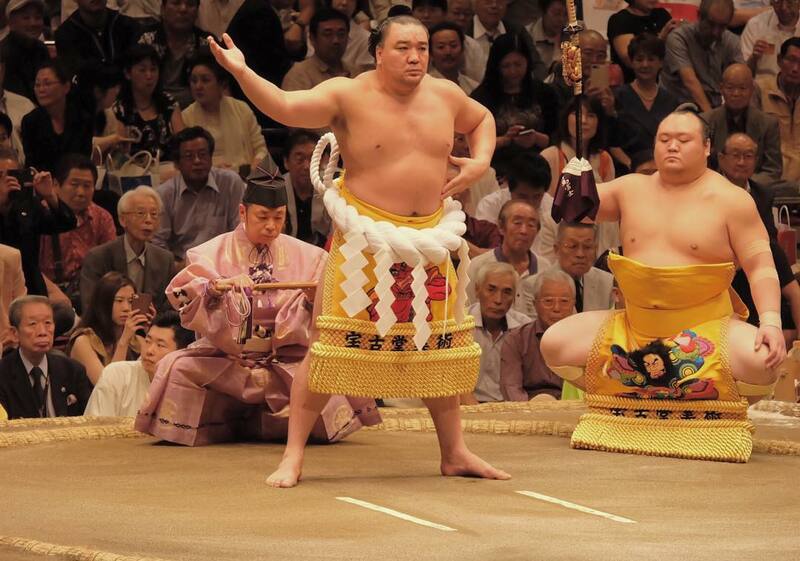 The most recently promoted, Kisenosato was the first Japanese born yokozuna in 20 years. Rikishi are promoted or demoted through the ranks depending on their performance at the official tournaments. The more tournaments a rikishi wins, the better of course. Winning a at least 8 of the 15 matches is enough for a wrestler to maintain his current ranking, if not gain a promotion. Despite having Japanese origins, many rikishi are not Japanese. Many top ranking wrestlers are Mongolian and there are currently also sumo from Georgia and Bulgaria to name just two. During the dohyo-iri (ring entering) ceremony the makuuchi will enter the ring wearing their ceremonial aprons. The ceremony they perform attracts the attention of the gods. The lift of their apron as they turn to leave shows that they do not have any weapons. The Yokozuna then follow with a variation of the same but each will enter separately with two supporting rikishi. The pre match grandstanding, a ritual consisting of salt throwing, leg stretching, squatting and stamping can continue for 4-5 minutes before the match must begin. 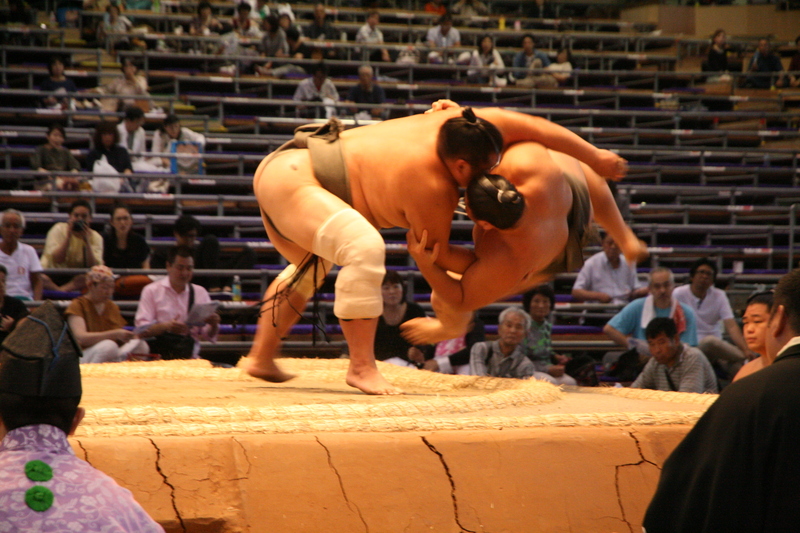 The salt thrown before the start of a bout is done so both to purify the dohyo and protect the wrestler from injury. When the referee indicates that it is time for the match to begin, both rikishi will put one fist on the ground, when both wrestlers have touched their second fist on the ground, the match begins. 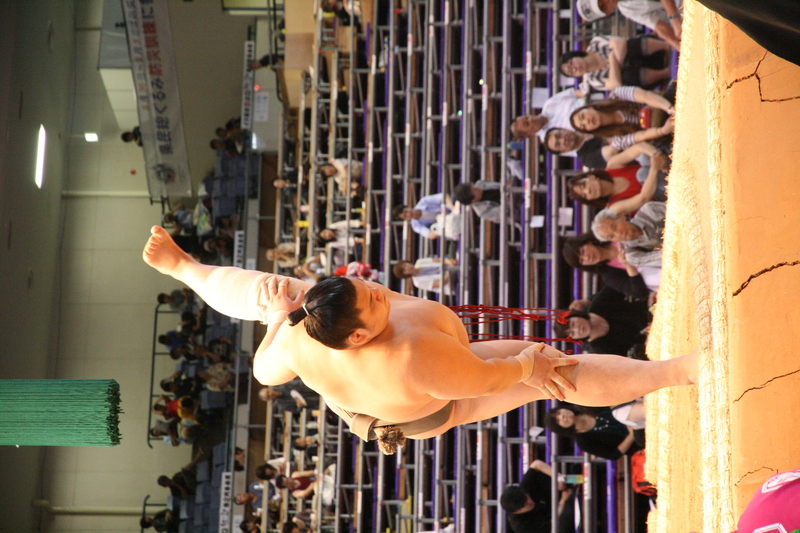 The bow dance is performed to finish the day and shows the rikishi satisfaction with the day’s matches. The Ceremonial aprons worn by the high ranking rikishi are made of heavy embroidered silk and are worth upwards of Y400,000! 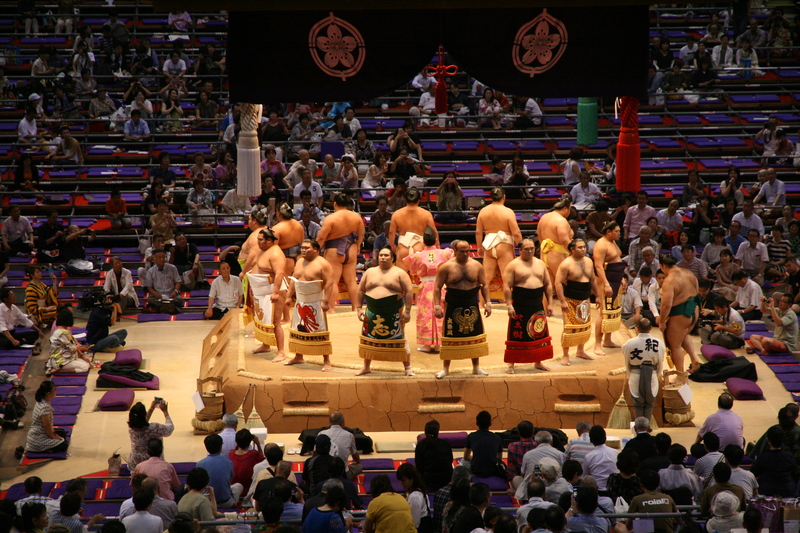 The referees are distinctive in their colourful costume and stand in the dohyo during the bout. After introducing the contestants the referee watches the match carefully and apparently calls out words of encouragement. The banners you see paraded around the ring prior to higher ranking bouts are advertising the sponsors of the match who have provided prize money, see point 25. The envelopes you see the winning rikishi collect at the end of his bout are called kensho and contain money from sponsors of the match. 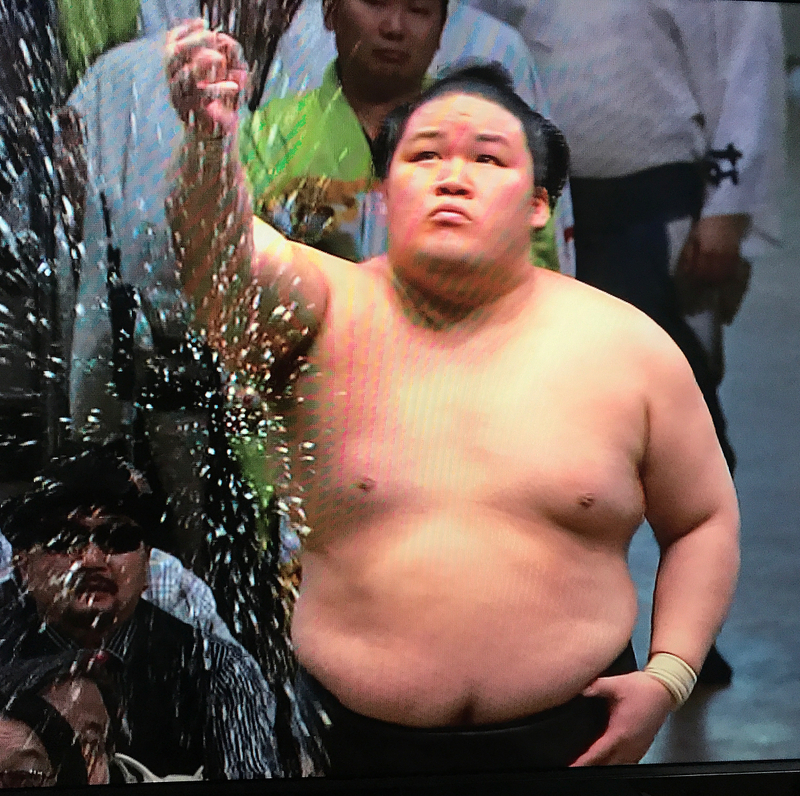 This money supplements any official prize money the winners or recipients of special prizes (such as for upsetting the highest number of Yokozuna or ozeki) receive. There are 6 tournaments a year. Three in Tokyo in January, May and September. A tournament is held in Osaka in March, Nagoya in July and Fukuoka in November. Each tournament lasts 15 days. 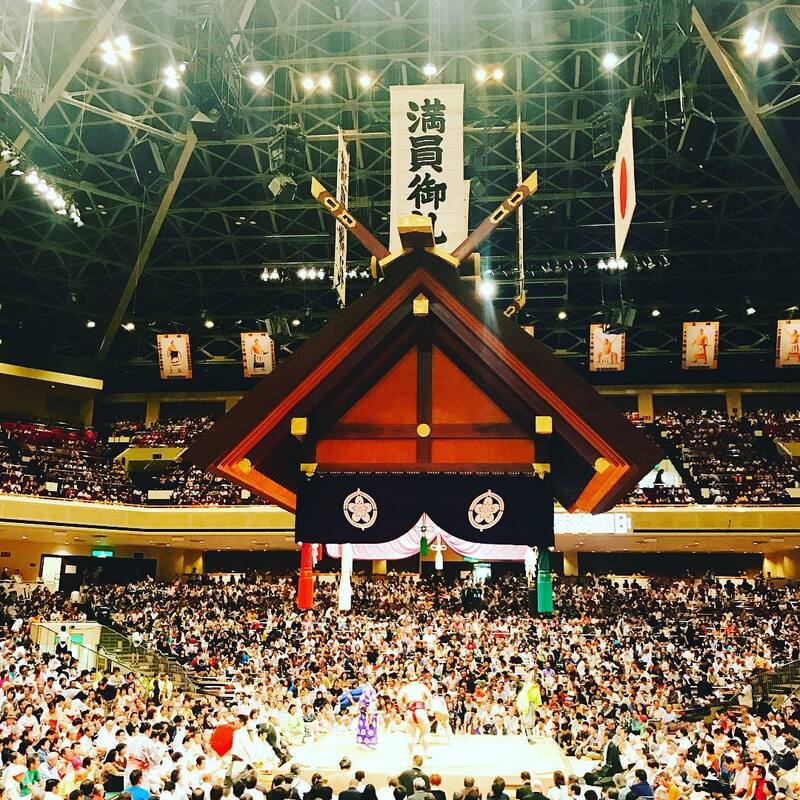 With a little preparation or an early morning, it is certainly possible for foreign tourists to be able to visit the sumo and it is well worth it if you have the chance. For more detailed information on how to get tickets, check out this article. Do you have any burning questions left about sumo? Let me know what they are in the comments section below! 5 fast facts about Japan's shinkansens!